Being an organized mom usually feels as though you’re juggling too many balls with not enough hands. Keeping everything in order, staying on top of the schedule…it can feel like a delicate balancing act. 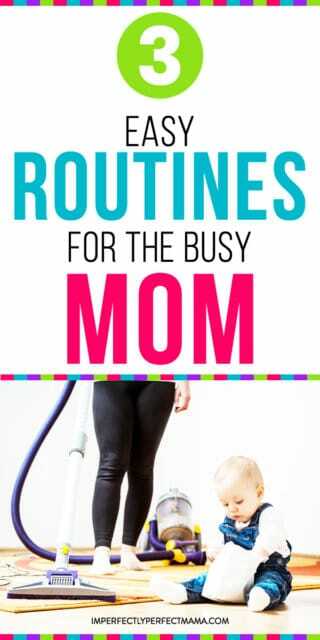 But an organized mom knows this: routines are what keep it all chugging along. Some of you might be groaning. Routines don’t leave room for spontaneity! And I get that, I do. It doesn’t have to be militant. It doesn’t even have to be a routine that you do absolutely every day. But the truth of the matter is the children and, by that extent, families, thrive on routine. Routines make the world go round, sister friend. And they can make your world easier, to. 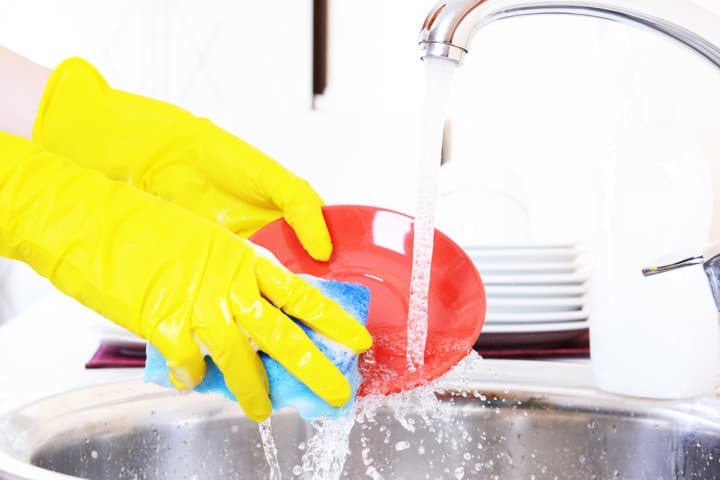 The trick is finding routines that work for you. Not every routine out there is going to jive with your personality, your daily schedule, your kid’s personalities, your family quirks, and so on. But when it seems like every Pinterest pin and blog post give a one-size-fits-all approach to routine (Chore charts! Checklists! Sticker charts! ), what’s the tired yet yearning-to-be organized mom who hates charts to do? It starts with appreciating the personality you have and the style of routine you are most comfortable with. There are a few different “types” of personality, but have you ever considered your own type to the bellwether for your best routine style? Were you laid back? Logic-driven? A dreamer? Go back and take one of those tests, like the Myers-Briggs, and read up on your style. Then, start piecing together a routine that works for how you work. Your best style of routine might mean you place a grocery order on subscription so you don’t have to think about it every week. It might mean checklists. I personally thrive on rotation-style routines, which means that I pick a series of actions and then repeat those actions until I get bored or my situation changes- and then I switch the actions up. Here are 3 routines I rely on every day to stay organized, clear-headed, and on top of my self. You might see yourself in these routines, too! I’m talking a regular old evening routine, but mine are pretty quick. I have the bandwidth of a baked potato in the evenings; I like to make as few decisions at this point as possible. Know why? I’m freaking tired. I want to curl up and Netflix or Instagram until my eyes get heavy, usually around 9:30pm because I’m a mom and the antithesis of cool these days. So I do the things that must get done, and nothing more: I set the coffee maker, I wash the dishes, and I empty backpacks. You’ve heard it a thousand times, but it’s true: the best way to start feeling like you are on top of your day and to have a clear head is to wake before your kids. Hear me, mama: this is life changing, no matter if you’re a night owl or a early bird. If it’s just too hard to get up before your kids (I recommend at least an hour earlier), then just try 20 minutes. If you’ve got a baby still waking in the night, be kind to yourself. Just try to get up early when it’s possible; the rest of the time, you need your sleep, and that’s okay. Everything is a season! I wake around 4:30 or 5 most mornings and I cherish the quiet. It’s never, ever easy to get out of my warm bed but oh, I am so happy once I’m out. Hot coffee, a quiet home, a clear head. It’s amazing. For more self-care tips for us moms, check out this guide. Once my kids are up, Family Morning kicks into gear. One of the major ways I get through the morning quickly and with my sanity intact is to eliminate choices. For example, breakfast: My kids have two choices for breakfast, waffles and fruit or yogurt and fruit. I eat eggs, my husband has a shake. If I get bored of these, I change it up – but I keep those changes as the rule until I get bored of them, too. I do the same with packed lunches, where I pack the same things in their lunch every day: a cheese stick, blueberries or melon, roasted broccoli or peas, pretzels or crackers, and some leftovers from dinner the night before. If there’s no leftovers to pack, they get cold cuts. But doing it this way, by eliminating choices, I can autopilot my mornings. This works not only to make sure everything gets done in time, yes, but autopilot really means I’m dividing my energy smartly. Plus, my grocery list is 10x easier to navigate. What about you? Do you see yourself implementing some new routines into your day? If you’d like a push to try some new ones, I have a 5-day email challenge set up for working/busy moms, and every day gives you a quick, actionable thing to do that helps get you in charge of your week a little better. Click here to sign up! 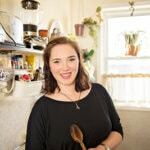 I'm Ruthy and I run Percolate Kitchen. I share simple recipes and timesaving hacks for working parents who are tired of feeling overwhelmed and rushed on workday evenings. Take my free 5 day email challenge to help balancing work and family when you’re a working mom.